This old Ponderosa Pine located near the banks of the Big Thompson river is a favorite of mine. It's twisted form from wind and weather gives it great character. 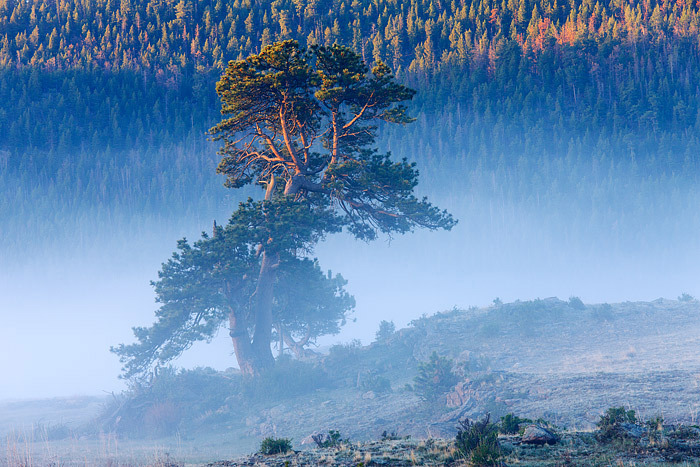 This morning, as a cool blue fog rises from the Big Thomspon and out of the Moraine Park, the first warm rays of sunlight grace the top of this magestic tree. Photo © copyright by Thomas Mangan.